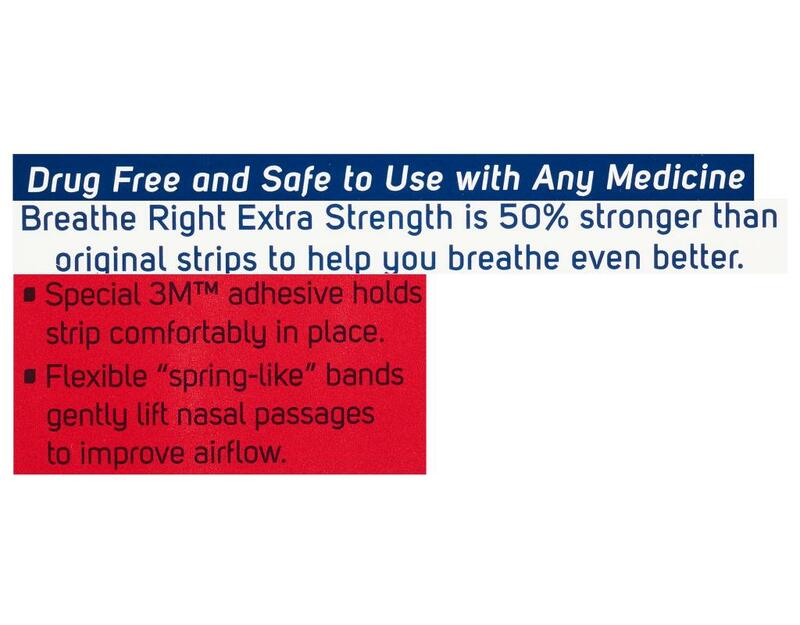 These strips are built with an extra "spring-like" band to help you breathe even better. 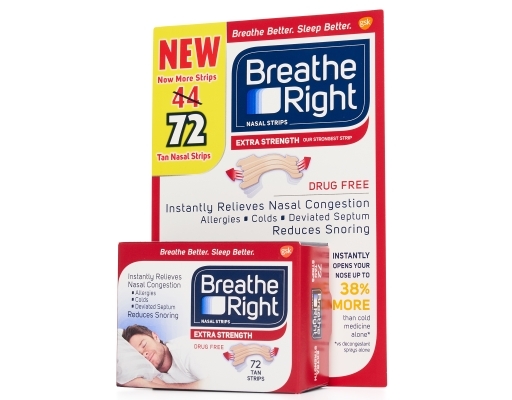 50 percent stronger than Breathe Right Original—for noses that need a little extra help in opening their nasal passages. 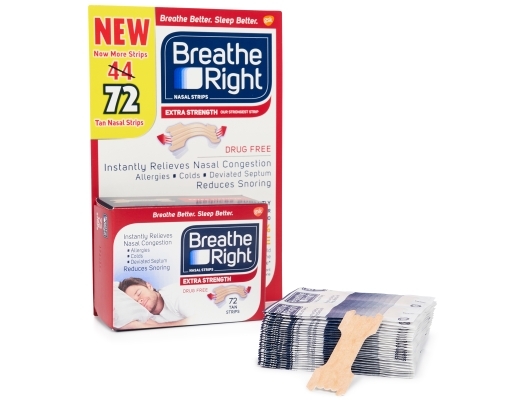 You Have a Right to Breathe Right! 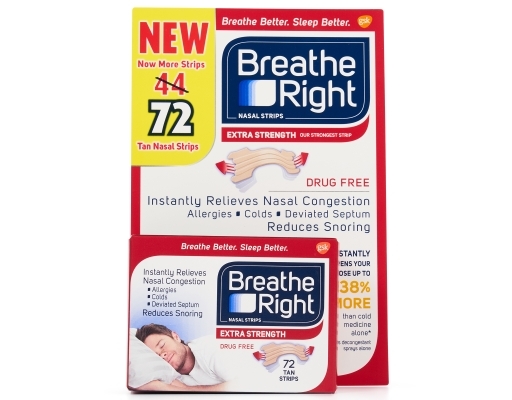 Like everyone, you have a fundamental right to breathe right, every night. But nighttime nasal congestion can often get in the way, ruining your chance to get a good night's sleep and affecting how you feel all day long. Don't take it lying down! 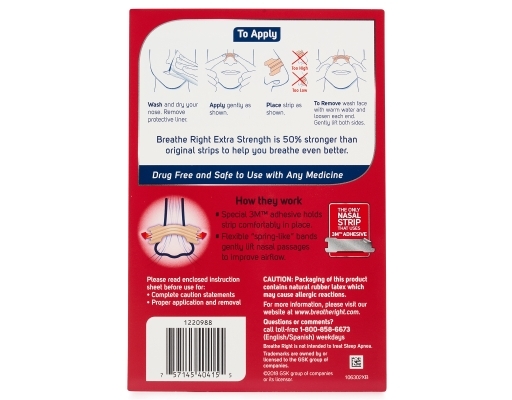 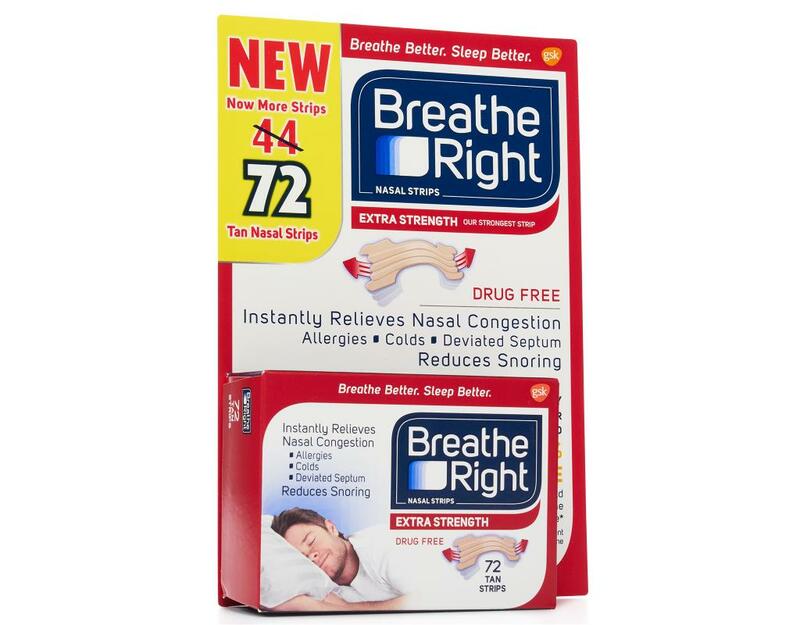 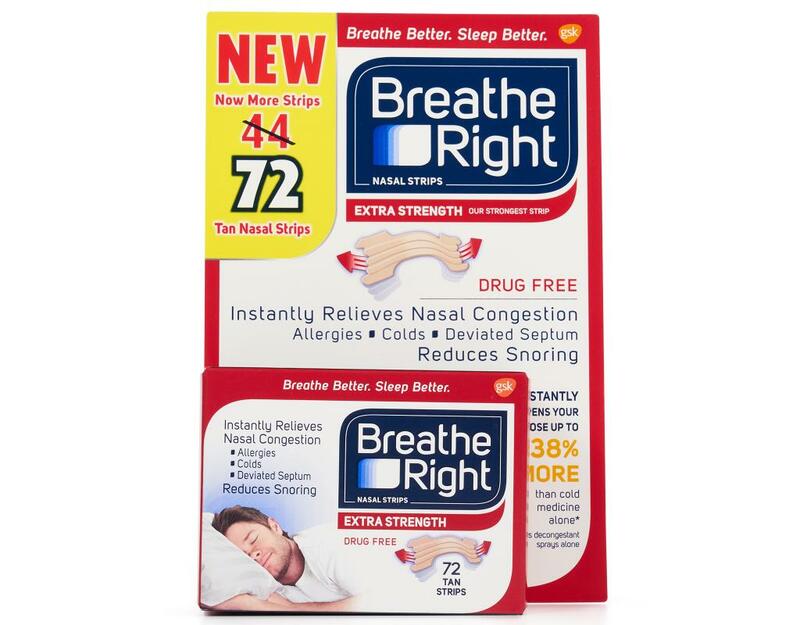 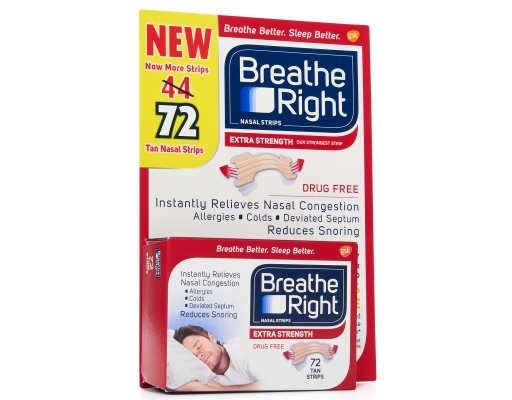 Breathe Right nasal strips are drug-free and clinically proven to lift nasal passages and open your nose the minute you put them on and work for as long as you have them on, relieving nasal congestion and improving airflow. They're like a breath of fresh air!